On April 7, 1937 at about 0230 hours, two men, armed with handguns, broke into the home of Mrs. Emma Cartier in South Bend, Pacific County. The suspects stole cash and postal savings bonds before they bound and gagged the Mrs. Cartier. They cut the phone lines to the house and left. The two suspects, later identified as Claude H. Ryan and Walter Seelert, had been casing Cartier’s home for three weeks before the burglary, knowing exactly which room Mrs. Cartier stored her valuables and where items such as a key to a safe was located. Mrs. Cartier was able to free herself and she went to a neighbor’s house to get help. The Pacific County Sheriff, Roy Trezise, broadcasted a BOLO to surrounding counties for the armed robbers. Lewis County Deputies Seth Jackson and James Compton wrote down the suspect description and headed south on SR-6 (Ocean Beach Highway) to search for them. At about 0500 hours, Dep. Jackson and Dep. Compton spotted two speeding cars heading east, comparing speeds. They turned on their light and siren—a high-speed pursuit ensued. Around the Meskill area is western Lewis County, one of the vehicles developed an engine problem and was forced to pull over. Dep. Compton pulled up alongside the disabled suspect vehicle. As Dep. Jackson stepped from the car he was shot in the heart and died. Scrambling for the shotgun, Dep. Compton was then shot in the temple but returned fire and hit the gunman. The driver grabbed Dep. Jackson’s gun and the two began shooting at each other with the patrol car between them. Dep. Compton was shot in the arm. A truck drove up to the shootout and Dep. Compton jumped behind it as he was trying to reload a revolver. The suspects jumped into the patrol car and sped away. The truck driver, Freeland Miller, was instructed by Dep. Compton to leave him and go find help. Miller drove a couple of miles to a phone where he called the sheriff’s office to report the shooting and Dep. Jackson’s murder. Miller then returned to Dep. Compton and transported him to Saint Helen Hospital. Inside the disabled suspect vehicle, deputies found two black masks, clothing, adhesive tape with strands of gray hair attached, a .38 revolver and a .22 pistol with a silencer. The vehicle was registered to Seelert, who was a well-known criminal from Tacoma. The Lewis County Sheriff, John A. Blankenship, ordered a county-wide dragnet for the murderers. Later, deputies were able to recover the patrol car after finding it wrecked and abandoned along a dead end road in Claquato, west of Chehalis. Inside the car, they located Mrs. Cartier’s money, bonds and Dep. Jackson’s revolver. There was also blood on the upholstery. Lewis County deputies and law enforcement from throughout the region set up roadblocks on all roads and highways leading out of the county. The King County Sheriff’s Office sent a pack of bloodhounds to assist in the search as well. Seelert didn’t show up for work the next morning at the machine shop for the Northern Pacific Railway. Tacoma PD detectives found out that Seelert had been associating with Ryan after the two met at the Washington State Penitentiary. Detectives were able to connect murder weapon through a seaman named Michael Swenson in Portland who said he had made the gun for Seelert. Tacoma PD received a phone call on Tuesday, April 13 that Ryan was in Electron, near Lake Kapowsin, where he was drinking at a tavern. Later that night, Tacoma PD Detective Lieutenant William Ferrar and three officers went to Electron and arrested Ryan without incident. Ryan was convicted of murdering Deputy Jackson and he was sentenced to hang. Deputy Compton returned to work on Wednesday, June 22, 1937 when he, Sheriff Blankenship, Deputy William Wilmore and Judge Studebaker drove to Walla Walla to deliver Ryan for execution. 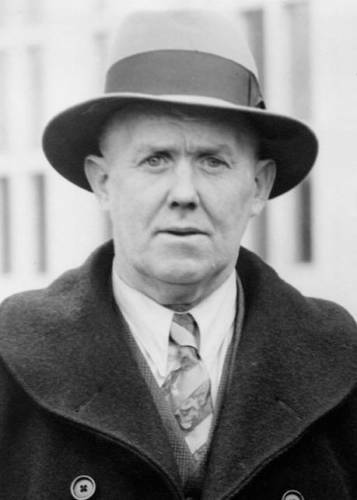 On Thursday, June 23, 1937, Sheriff Blankenship sent a telegram to the Denver Police Department because he had received information that Seelert had been living in the city under the name Ira Tate. Captain Joseph Duffy and six detectives went to a boarding house downtown where they originally planned on waiting for Seelert to come outside. After two hours, they decided to sneak into Seelert’s apartment. Seelert had been rooming with another ex-convict named C. B. Wilson at the time. As the officers encountered the men, they both pulled guns. The detectives opened fire and killed Seelert and Wilson. Ryan was hanged at 12:04 a.m. on February 25, 1938, after all of his appeals were exhausted. Incidentally, Ryan’s hanging was witnessed by more than 140 law enforcement officers who were in town attending the Washington Sheriffs and Police Chiefs Association conference. It was the largest crowd to witness an execution at Walla Walla. Deputy Jackson is survived by his wife who was a Jailer for the Lewis County Sheriff’s Office.